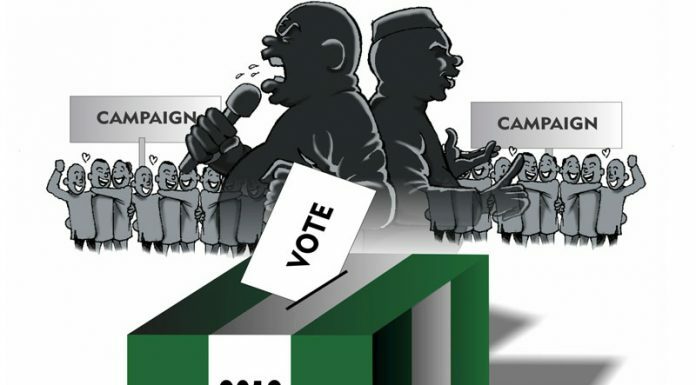 The National Coordinator, Igbokwe Association, Daniel Nwafor, has tasked Nigerians on the need to vote for credible candidates in the 2019 general election both at the national and state levels in order to move the country forward. Nwaofor, who disclosed this yesterday at a media briefing in Lagos, noted that as an association they donâ€™t vote for political parties, but credible candidates with a vision of what is needed to assist the economic challenges facing the country. He also stated that the association is a social political group that builds and supports Igbo indigenes who want to move into politics and run for public office, adding that Igbos constitutes 40-45 per cent of the population of Lagos State. â€œWe have come to tell Nigerians that there is need to vote credible candidate in the forthcoming general election to rule the country at the national and state levels. We believe that those who live in Lagos form a large majority of any group from their town and whenever Lagos branch of any community speaks, people listens. We are telling Nigerians that we are not voting for political parties, but credible candidates,â€ he noted. He urged Nigerians to come out and vote en masse for candidates with values and good political records. In her remarks, the women leader, Igbokwe Association, Lolo UgoJesuse Ibe, noted that their goal is to build an association for the benefit of all, stating that they are not affiliated to any political party.